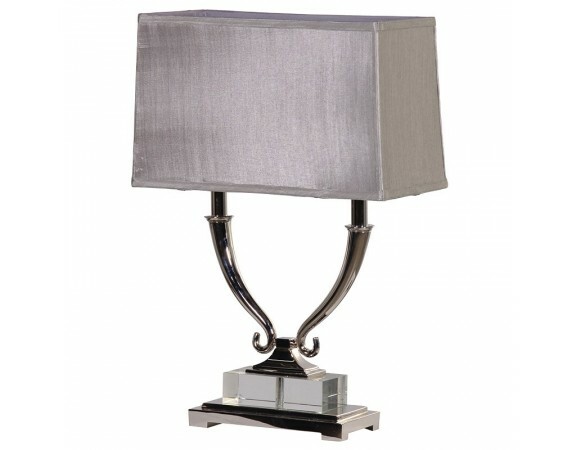 Our twin arm lamp is contemporary and beautiful; it offers a fresh design technique that screams opulence and modern style. 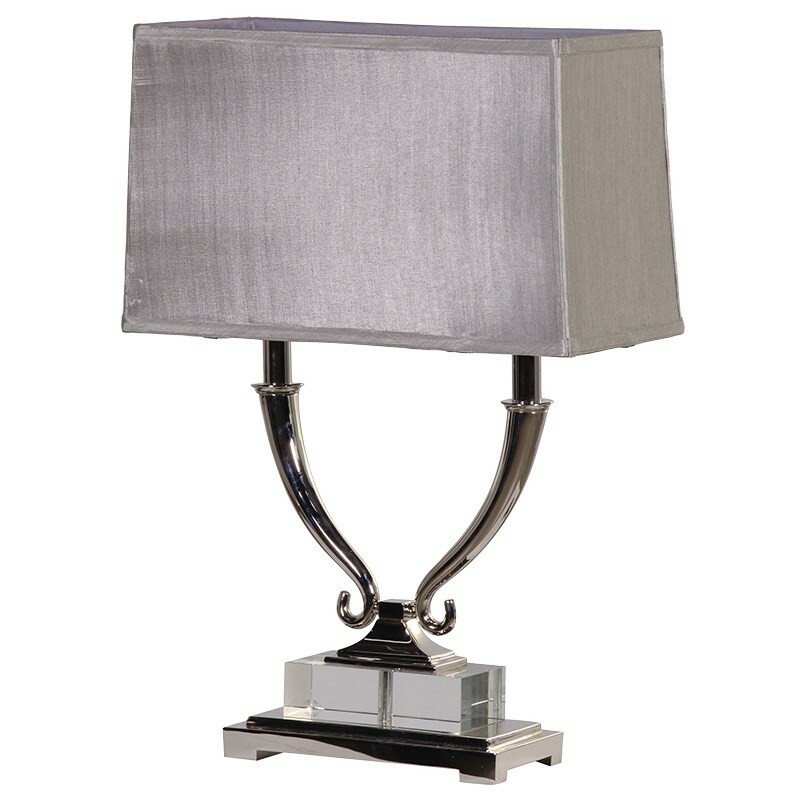 A very sophisticated piece it has a twin arm support for the lamp placed on a more simplistic base to offer a strong presence and a stylish silhouette. 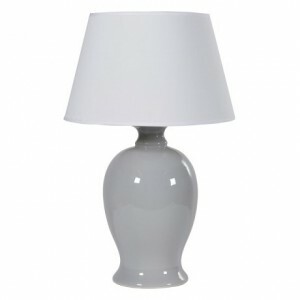 This goes perfectly with the silver finish of the lamp as well as a silver shade to blend this furnishing with other items.